This blog was six years old last month. Yes, six years since I thought I was close to publication with book 1, and needed to build an online presence! I sent that book to around fifteen agents/independent publishers and was asked for the full manuscript a couple of times, but after receiving a critique which said I should get on with my next book and put book 1 to one side; I decided to take the advice. I have been thinking about book 1 recently though, and the time away from it has been good, but I plan to re-write it to match the length and genre of my book 2 (was present day with WWII journal excerpts; plan to re-write as a dual timeline). I’m still working on that second book, although it is going fairly well. I have pitched it to agents a couple of times, and feedback has been positive with requests for a full (which I haven’t sent because it isn’t done...). A successful and well-known agent approached me a year or so ago, although my book turned out not to be what they were looking for (but that did give me a boost). It’s moving forwards at least, as I’m sending 10K sections to a mentor every month (or so, depending on summer hols etc-I have two kids). I started working with a mentor in January of this year, and I’m over halfway through the novel now (this is around the tenth draft). It could be moving more quickly, yes, but life is busy, and for some reason I chose to set my novel in the eighteenth century and present day-and I’m no eighteenth century expert. At the moment, I have to accept there is only so much time for everything, and as long as the book is moving forwards that’s the main thing. I used to get stressed when there wasn’t time to write, which would then make it more difficult to write when the time arose. Now, I have this new process where I work on 10K at a time, I no longer feel stressed, about writing, at least. I go without writing for a few weeks sometimes, especially during school holidays, but as long as I have my self-imposed deadline to work towards, I manage to get the 10K done. I have extended the deadline once (last time) when life took over a bit, and that last 10K felt like a struggle-the words did not come easily-because a few weeks had lapsed since the previous section. Just getting that section completed and sent off to my mentor was more important to me than whether it was my best writing. Because then I was back on the road to book completion. I know that if/when I’m ever published, I wouldn’t have the luxury of writing 10K at a time, but when life is busy, sometimes it’s difficult to justify spending hours on an activity which is unpaid, rather than spending time with my kids. If/when I’m published, I shall have to work more quickly, of course. So, how do you stay motivated when writing a novel? I know, from my neetsmarketing work and from writer/author friends, that this is something so many writers struggle with; even those who have published many books, and sold many too. It’s comforting to know that even authors who are published feel unmotivated and lose confidence sometimes. For me, setting deadlines works, with so many words to be done by a certain date. And if I don’t meet the deadline, I simply extend it and move on. Then, I have to get my head ready to be able to write. I do lots of yoga, go for walks. Although I am sociable, I like to spend time by myself, and have always been this way-to read, or watch a TV programme or film that I want to watch. Sometimes I have to do a lot of this to get myself in the zone. If life has been hectic, I can’t just go and write without getting my head straight first. Writing other stuff helps to build confidence, and it's what I do when I can't focus on my WIP, but want to write. I enjoy writing flash fiction because it doesn't take much time, at all, and it's a good way to exercise the old writing muscles. I've written a handful of short stories, although I don't find them easy to write. When my short story, The Reminiscence Tea was highly commended in the February issue of Writers' Forum, that was a real boost. Going out for the day, especially to do research is motivating. I love walks and visits to country houses with the family, where I visualise scenes from my WIP. I've been to Sutton Hoo twice recently during short breaks in Southwold (a favourite place), and find the story of Edith Pretty and Basil Brown, and how the treasure was discovered fascinating. I'd like to write a short story inspired by the place, but haven't worked out how yet. Writing retreats are worth it. I can’t say I’ve achieved much in the way of word count on the writing retreats I’ve been on (especially compared to one of my inspiring author friends who has usually done 1K+ before I’ve even got out of bed). But, I do love to be around other writers who are friends and draw inspiration from them. Even if I don’t get many words down on the retreat, I usually achieve a light bulb moment in relation to my WIP because I have the luxury of thinking about it all day for two-three days. Then, when I return, that’s when I get the writing done, because I’m truly in the zone. I have a retreat coming up at the end of November, in the Cotswolds, and I can’t wait. If you struggle to motivate yourself to write, you are not alone, and it is fixable, even if you haven't written for months, or more. It's National Novel Writing Month (NaNoWriMo), which I know is helpful to many writers for getting the words down. I'm not taking part this year, but one of these days I hope to. So, six years on, I'm not published, but I feel I've learnt how to write in that time, and publication is realistically closer than it was then. 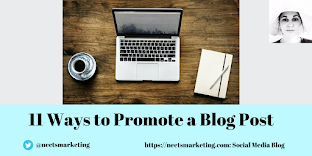 I know a lot about the publishing industry now, especially through my neetsmarketing work, and that's helpful when knowing who to approach and how. Hopefully, in another six years, I'll be there-otherwise it will be a bit embarrassing...!